TV series Swami Ramdev: Ek Sangharsh which will be aired on the soon to be launched channel Discovery Jeet.The show is co-produced by Ajay Devgn Film Productions and Watergate Production. 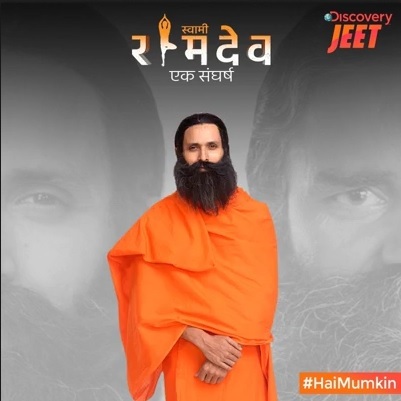 It is a scripted biopic series tracing Swami Ramdev’s fascinating and inspirational journey from a life of anonymity to a renowned yoga guru, business mogul and national icon. “It is a challenge to play a multi-faceted personality like Swami Ramdev. I will do my level best to deliver a convincing performance,” added Kranti Prakash Jha.